You can't make a mistake with this combination of Nutella and chocolate. 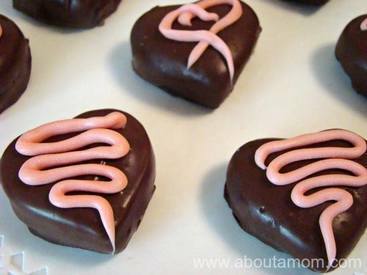 These chocolate treats are so easy to make. This recipe from About A Mom is even better when you temper your chocolate. Especially if you are going to be giving these away as a gift!